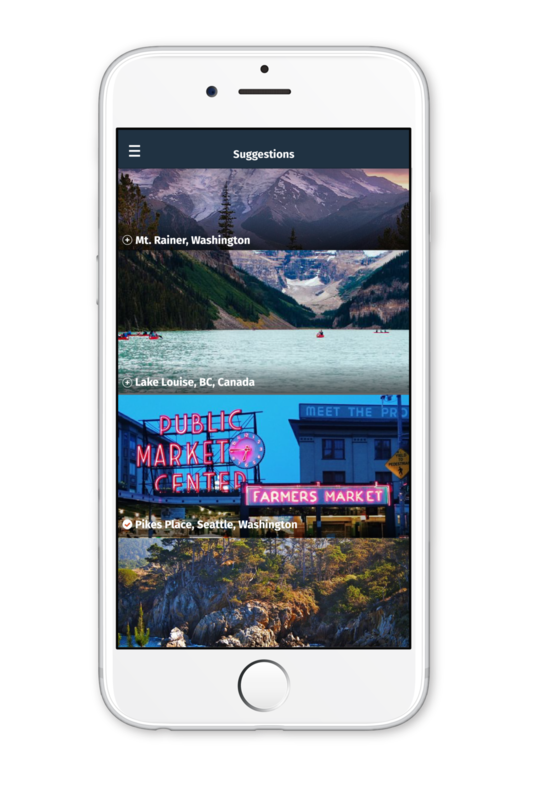 Native: Explore new places with the lens of a local. Brief: This app was a solo class project where we were asked to design an app from idea conception to deliverable spec prototype. My app specifically went through another round of iteration after the class, a year or so later when I wanted to approve upon my interface and the interactions there. 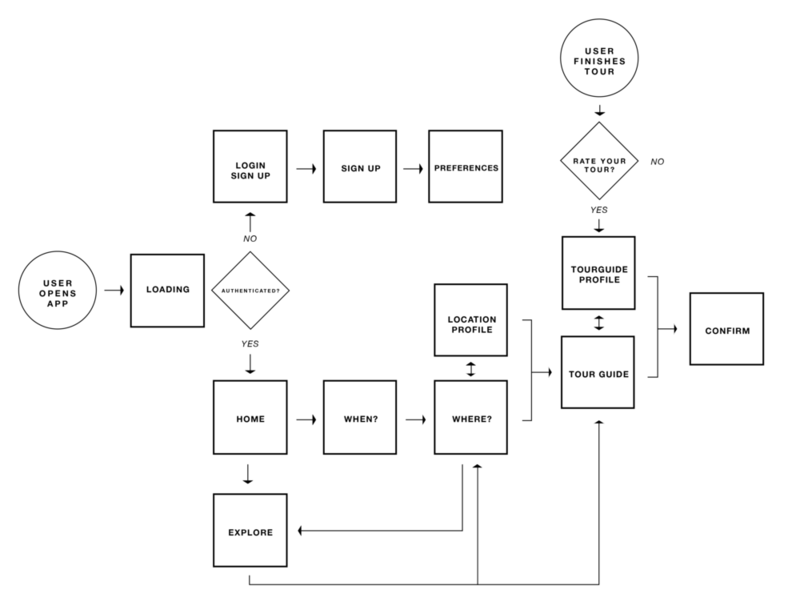 Process: First phase of the project began with idea conception. A week of browsing the app store, asking people about experiences and problems they encountered in their day to day life, and seeing what was working in the app world led me to the idea of Native. Native: Intersecting between Millennial's wanderlust and the innovation of sharing economy, this app lets people who are passionate about where they live share experience with people who want to explore new ares. After I landed on my idea, it was time to start wire framing! Iteration: A year or so after turning in my class project, looking back at my app there was some things I felt I could make better. 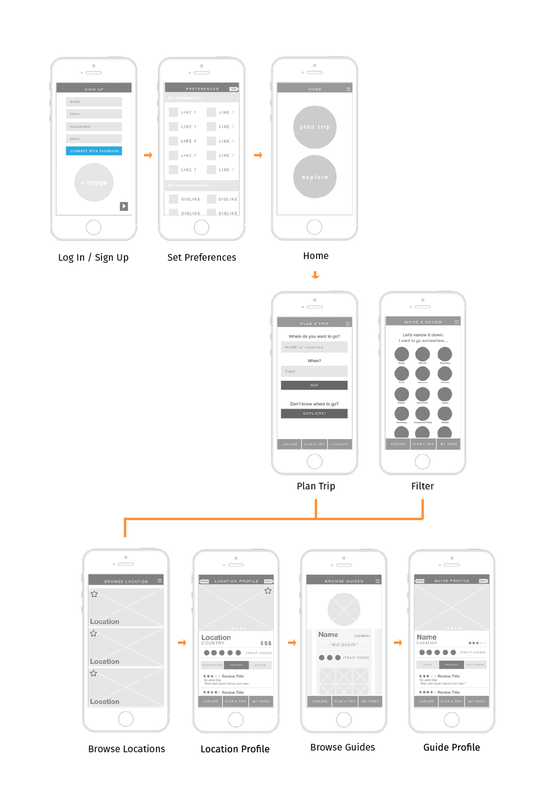 The use of color, hierarchy of information, and overall app navigation were a few of the things I sought to improve. I also wanted to add something unique to the app, that could keep users coming back even when they weren't booking a Native. Keep em coming back: By allowing people to browse places more visually, I made room for users to use the app even when they weren't booking an actual trip. Suggested content: Users can browse through suggested or filtered locations if they are unsure of where they wish to travel. Color: In the initial iteration, there was a lot of orange - everywhere. It was an important color; orange had a sense of liveliness and awareness. Part of the branding for Native included orange bandanas which guides would wear whenever they were guiding experiences; this kept them visible to their tourees as well as marketing for the app itself. In Native 2.0, the orange was scaled back to a more select number of places, balanced out by a neutral navy.